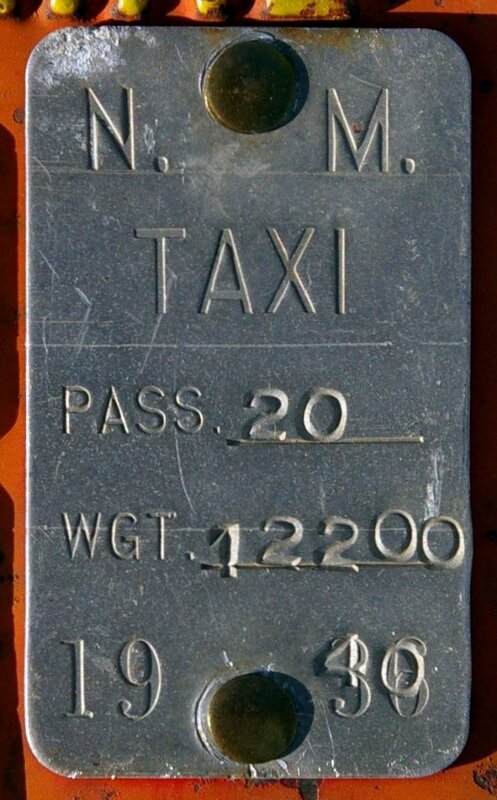 The first plates used specifically for taxis were the Commercial Car (COM CAR) plates introduced in mid-1923. 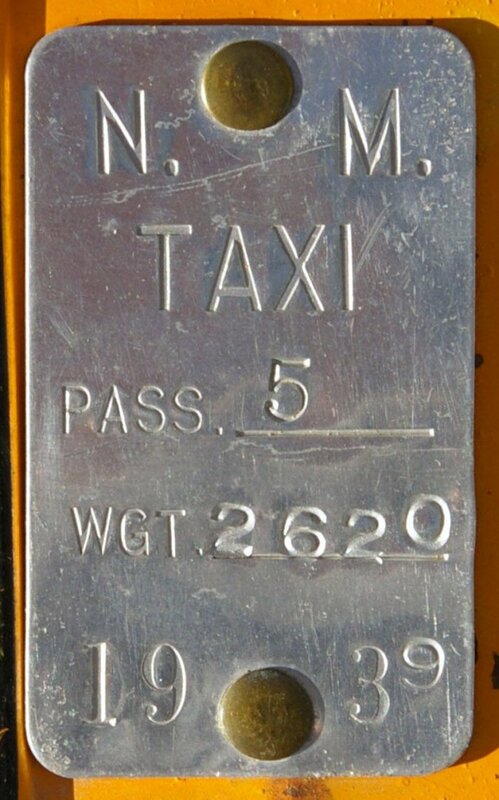 These were superseded in 1926 by a Commercial (COM) plate to which was affixed a metal weight/capacity seal with the legend “CAR.” These were replaced in 1931 by the C-prefix Commercial series bearing a metal weight/capacity seal inscribed “TAXI.” Next in turn were plates introduced in 1955 with “TX” embossed in the plate itself. This latter type continued in through about 1983. Since that time taxis have received regular Passenger Car plates. In 1960 New Mexico began using validation stickers for the first time, with plans to switch from pairs of plates to singles in the following year. 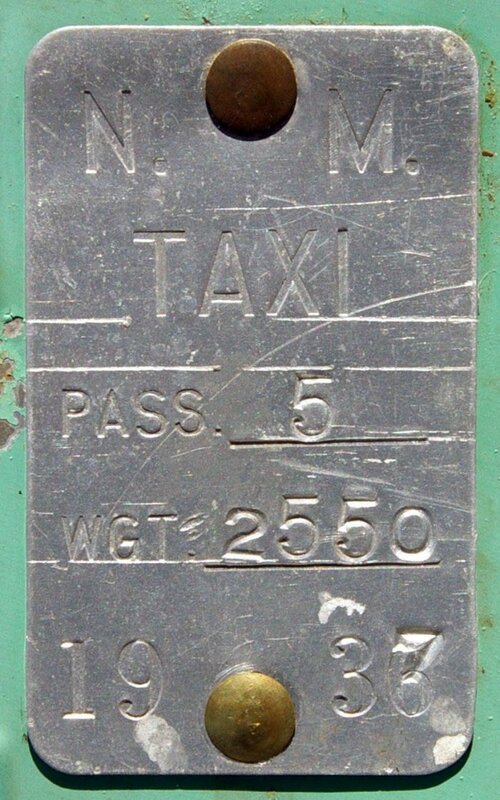 For 1960 the vast majority of vehicles kept their 1959 plates, which were renewed with a small metal tab bearing a 1960 sticker. This tab covered the embossed “59” on the previous year’s plate. 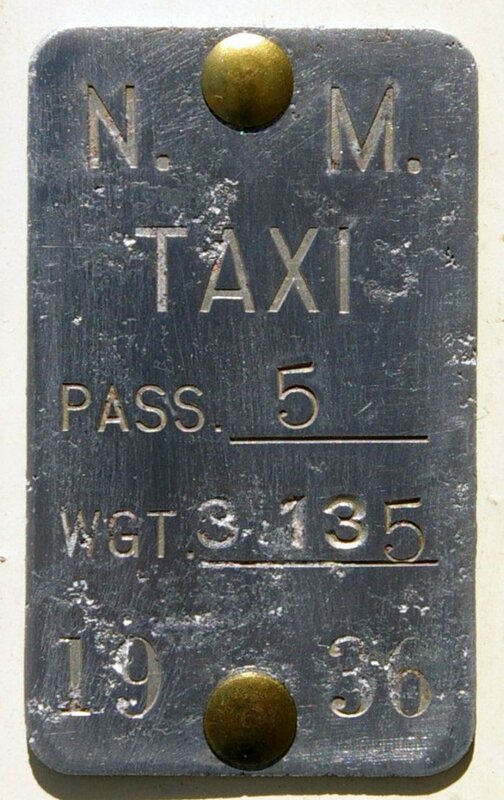 There are just three known exceptions to this rule: Taxi plates which were issued in pairs, and with an embossed “1960” date; Dealer tags which were issued as singles but also had the embossed “1960” and were in the same colors as Taxi plates; and Motorcycle tags which were singles with an embossed “1960” date but in different (green on white) colors.